Hello all and happy September! This is a catch up post really as I haven't done much writing this last fortnight. Sadly my granddad passed away on Monday. He was 92 and not really getting much quality of life so it was for the best, but to lose both grandparents in the space of a year has been hugely difficult. It is, as I keep saying to my family and friends, the end of an era. I do realize how lucky I was to have known them both as long as I did, but I'm just missing them at the moment. 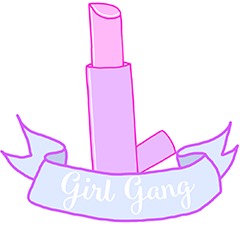 Moving onto a brighter topic, Jemma of Dorkface hosted her very first Girl Gang event last week and she did us bloggers proud! Although I couldn't be there myself, it looks like an amazing day was had by all. If you have no idea what I'm on about then check out this link to read all about it - GirlGangEvent. I really hope to be at the next one! 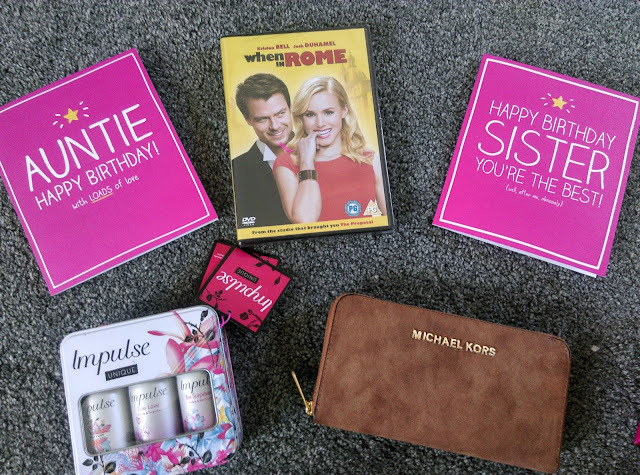 Last Wednesday was my birthday and as you can see from the header image I got some lovely goodies. I've been after the movie 'When In Rome' for AGES and my sister kindly ordered it for me!! Huge thank you to everyone who made my birthday special and for all the lovely messages. Lastly, I can't end this post without mentioning a must read book. 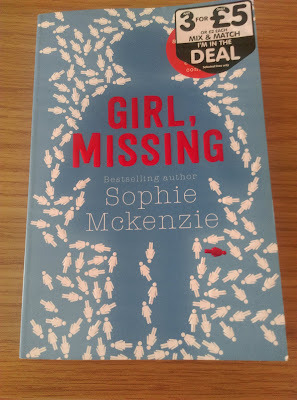 You may remember recently I was whining that I hadn't read a real page turner in ages, not since All The Bright Places and Elizabeth Is Missing anyway. (Both absolute musts btw!!) So you'll be glad to hear that I adored thriller, 'Girl, Missing' by Sophie McKenzie. I picked it up when browsing in The Works. I hadn't realized at the time but it's actually a YA novel. This didn't put me off because I am an avid YA fiction reader and once I started chapter one I was hooked! I'm not going to reveal any spoilers but the basic story line revolves around 14 year old Lauren and her quest to find the truth behind her adoption. Enough said. You'll have to buy it to discover more. You won't regret it honestly! All photos my own except the Girl Gang image. Copyright remains with Jemma of Dorkface.